If you have just started to ride motorcycles, chances are that you are going to make a lot amateurish mistakes which may prove to be harmful for your motorcycle in a longer run. So in the report below we list down a number of tips you should follow to avoid the same. If you are newbie and have just started riding and have no idea what a bike’s break-in period means then its time you learn a thing or two about motorcycling. 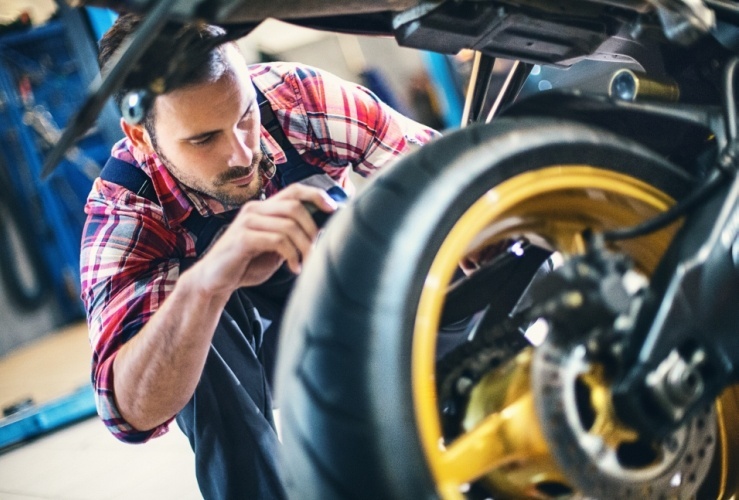 If you’ve just pulled out a brand new motorcycle out of the showroom recently and you intent to keep its mechanicals new for as long as possible. Do the motorcycle a favor and don’t rev the life out of the new born engine. A new motorcycle is like a baby, it deserves care. Make sure you don’t run the engine on high revs until the break-in period gets over and the engine oil is changed. 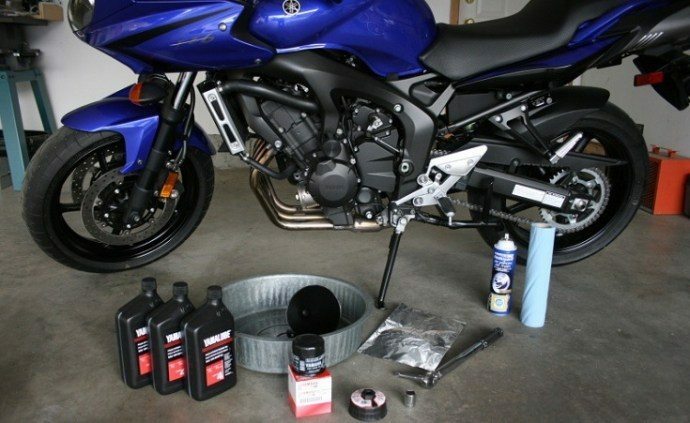 Generally it varies from motorcycle to motorcycle depending up on its engine but most of the bikes get their first oil change at around 1000km to 1500kms! The golden rule of motorcycling is taking care of the machine and getting it serviced on or before the recommended interval. Unchanged oil has lumps of carbon deposits which don’t work well for the engine. Running on the old oil or not maintaining a proper service schedule is an open invitation for the future engine troubles. Chain sets on modern motorcycles are surely aren’t cheap but its maintenance surely is. So make sure that you properly clean and lubricate the chain every 700 to 800 kms. If not done so, the chain may catch up rust, severely affecting its overall life. 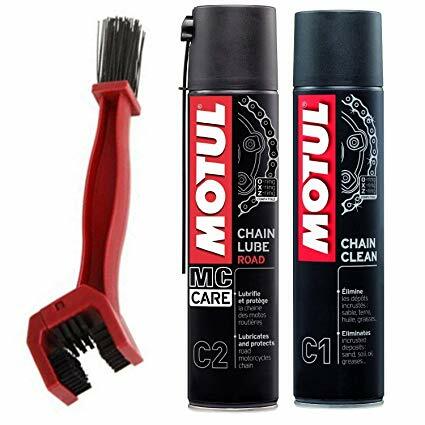 Use Motul Chain Service Kit as available on Grandpitstop.com! Warming up motorcycle every time you go for a ride is a must. Make sure to keep the engine running for at least 100 to 120 seconds to make the oil warm and properly cycle throughout its chambers before you start to operate the motorcycle. Do not rev the motorcycle hard while it is getting warmed up. This practice is one of the steps to ensure a long engine life. If you keep the motorcycle clean chances are that your motorcycle paint will glitter even after years of service. Also, proper wax and polish session is a must after every wash to keep the paint surface protected from all the natural elements that led to deterioration of paint quality. 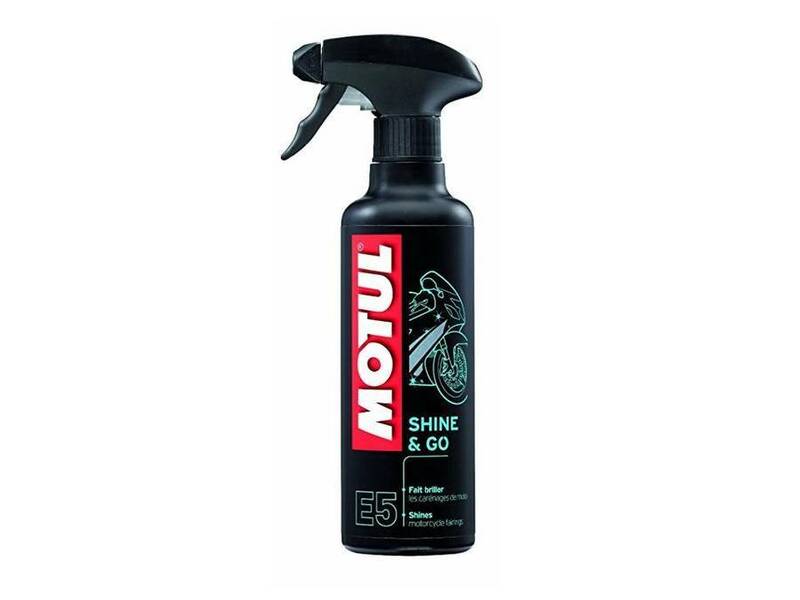 Use Motul Shine and Go as available on Grandpitstop.com! Note: Overdoing washing can led to malfunction of bike electricals and rusted paint surfaces, so avoid it! Tyres are one of the most important parts of your motorcycle which affects vehicle’s overall performance and safety. Keep a close check for the leakages, punctures and cracks on tyre surface. Also, keep a close eye on the overall tread and grip levels by using penny gauge method. 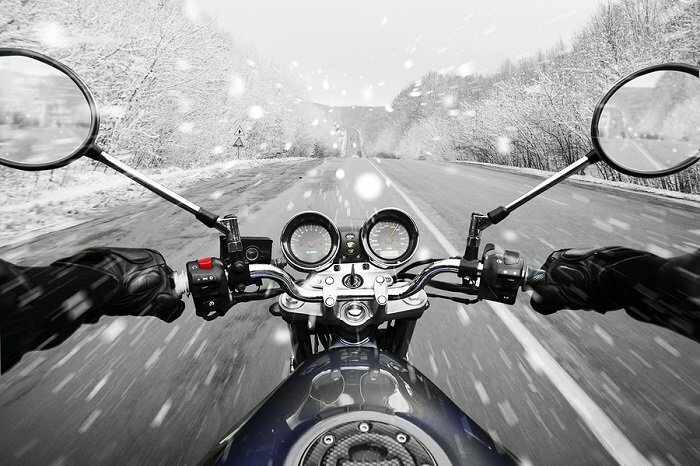 One of the favors you can do on your motorcycle is keeping it in running condition. If you store it for a long time period its battery may get drain out, its fuel pump might get chocked, and tyres may get a permanent flat surface (if not properly stored). So keep the engine running at all cost! If you learn the correct braking technique, you can save the life of your brake pads, disc plates and tyres by as much as 15%. The correct braking approach is by simultaneously applying both the brakes (front and rear) instead of a single brake, thus distributing braking forces at both the ends. This is not just technically proven to be safer way of braking but also economical.